Always wanted that beautiful container pot like the ones in the magazines? Frustrated because your pots never turn out like you want? Not to worry! Our Custom Container Service at Daniel’s can help. 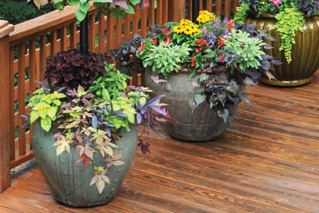 Simply bring in your pots and we will help you design the perfect combination container for your area. We also plant them for you! Please note there is a planting charge for each pot. When you bring your pots in, we will ask you a few questions in order to ensure the final results are according to your standards. Please know the sun light intensity for the area that you will be placing each pot. Labeling the sun intensity for each pot will ensure that there is no confusion. *See guide below* This is very important for plant survival. 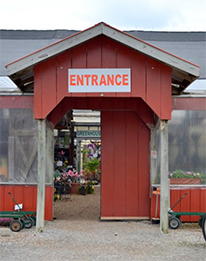 Also, if you have pictures of pots you like you can bring those in and we will do our best to match the plants and layout with what we have in our inventory. Please allow at least one week between drop-off and pick-up. Please be specific about what type of sunlight you have. There is a big difference between morning sun and afternoon sun even if the plants receive the same amount of sunlight.